Hanukkah! 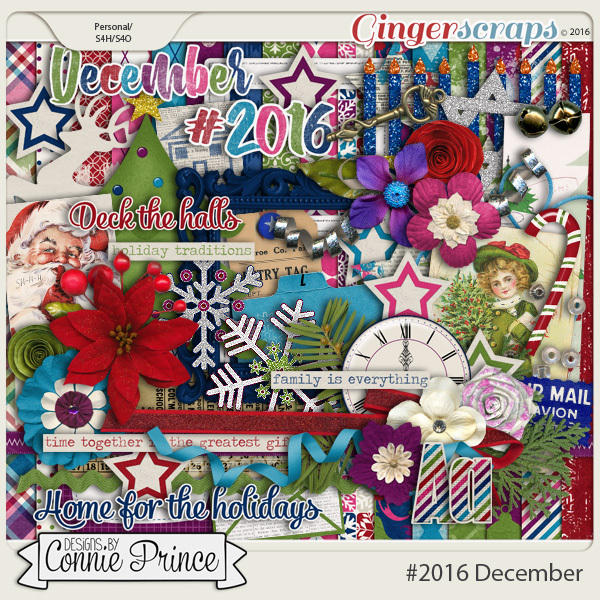 Last week we checked out all things Christmas. Merry Christmas Eve btw. However, this time of the year is also Hanukkah! 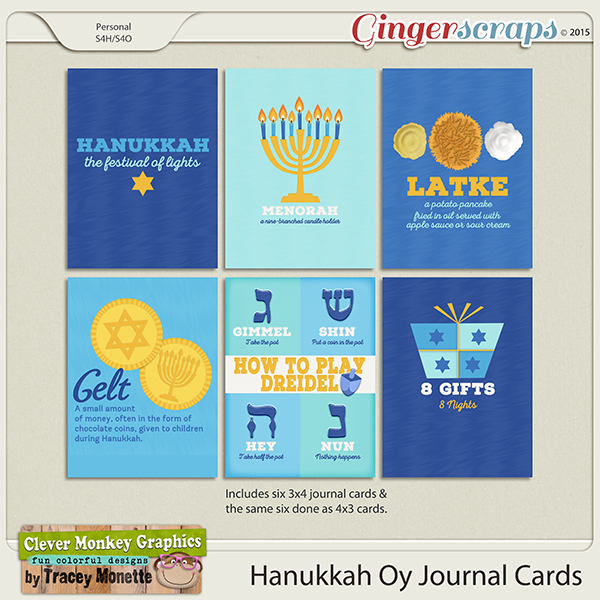 Our store has some wonderful items to scrap those Hanukkah memories. Just last week, this post is image heavy. 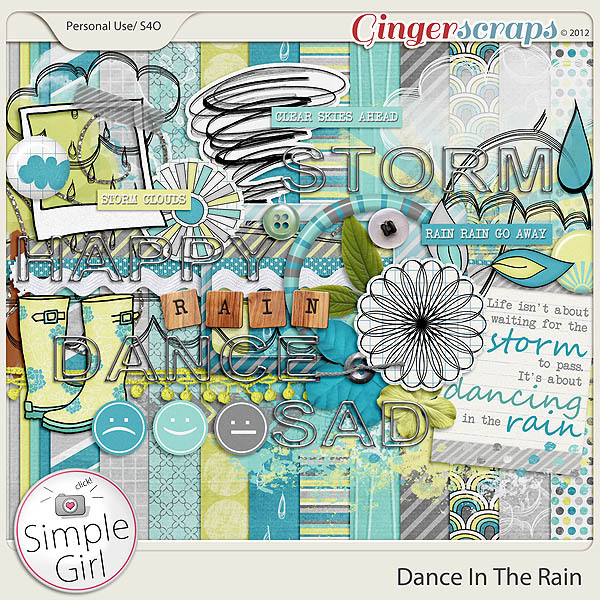 I am going to let the wonderful digital scrapbooking products do the talking. All images linked to the store. CHRISTMAS!! It’s the Most Wonderful Time of the Year!! For those of us who celebrate, we are in the full swing of the holiday! 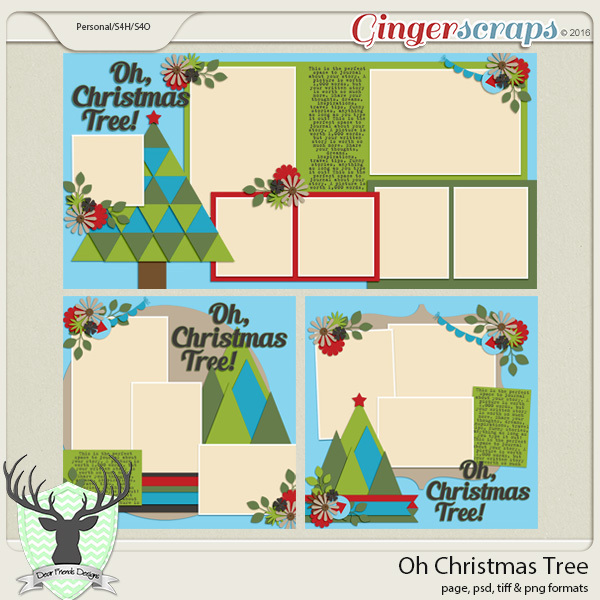 Is your tree up? Are your stocking hung with care? How about that shopping? 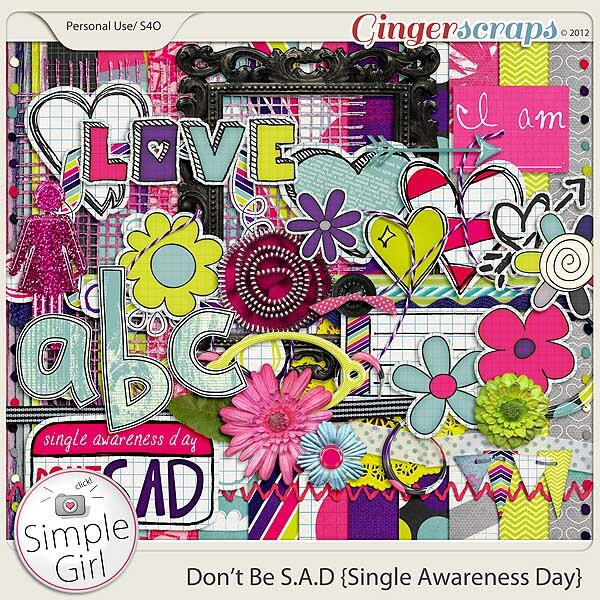 Is it done; and what about…scrapping those memories?! For me…yes, yes, done, and working on it. 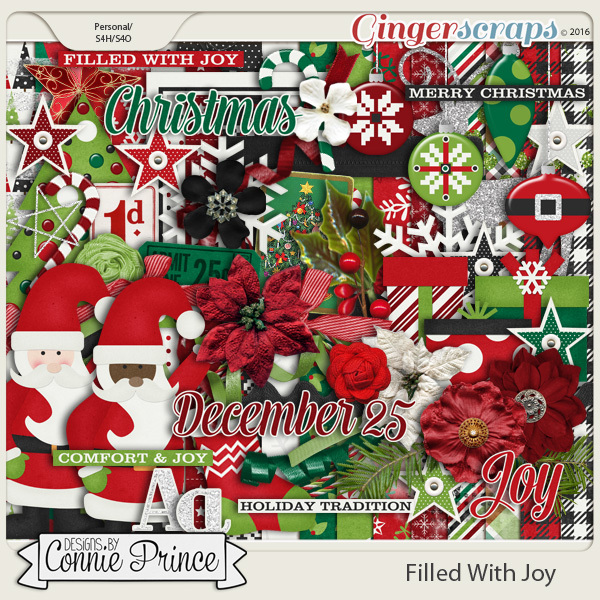 🙂 I am also stopping by to absolutely overwhelm your senses with all things Christmas and digital scrapbooking. 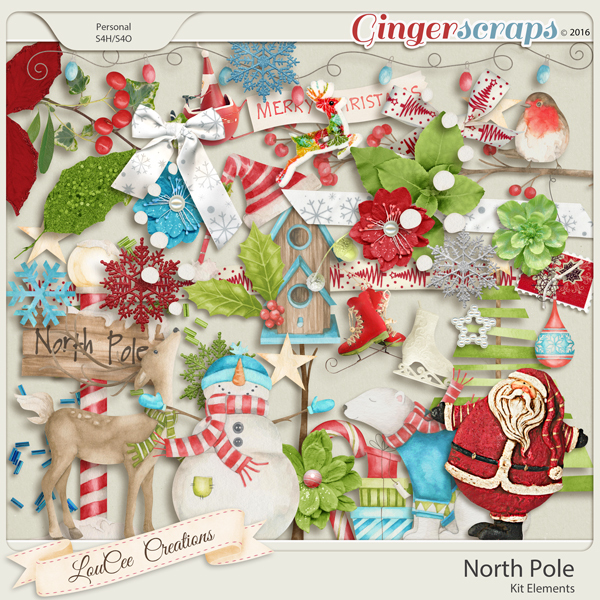 By the time I am done, you will either not want to see anything Christmas related; or be ready to scrap-scrap-scrap! Since this will be a image heavy post, I am going to make the chatter short and sweet. 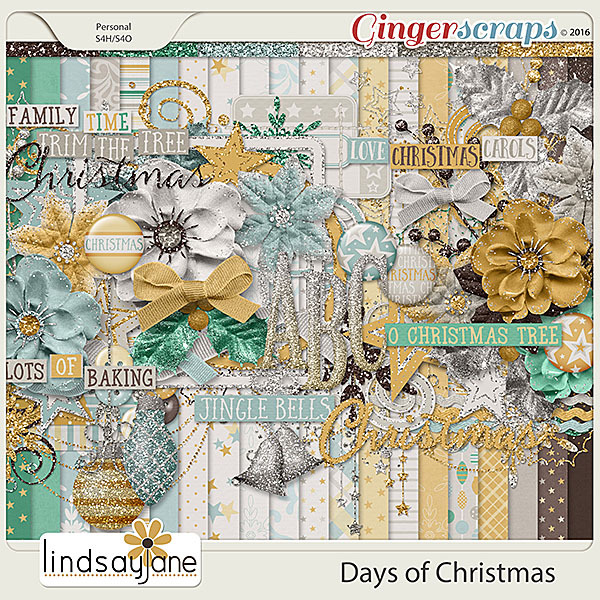 All images are linked; and don’t forget we have a section just for Christmas in the store. You know…in case one of these 100 (joking) I am about to show you doesn’t strike your fancy. Whew. That isn’t even a quarter of the wonderful Christmas goodies in the store. Just some of the most resent. If what I showed you is not what you are looking for, make sure to check out the store. Merry Christmas everyone! So…I almost let this month creep by without celebrating Dads! 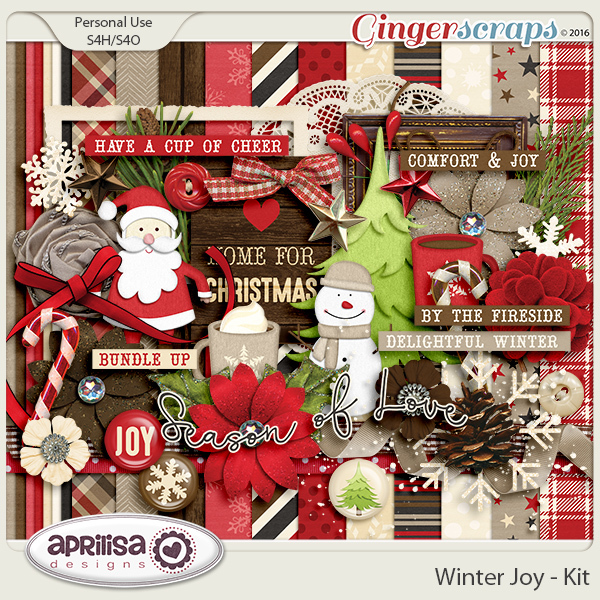 I love this holiday and I enjoy all the man-inspired kits that come out right now. Being the only female in my house, I am always on the look out for great masculine kits. 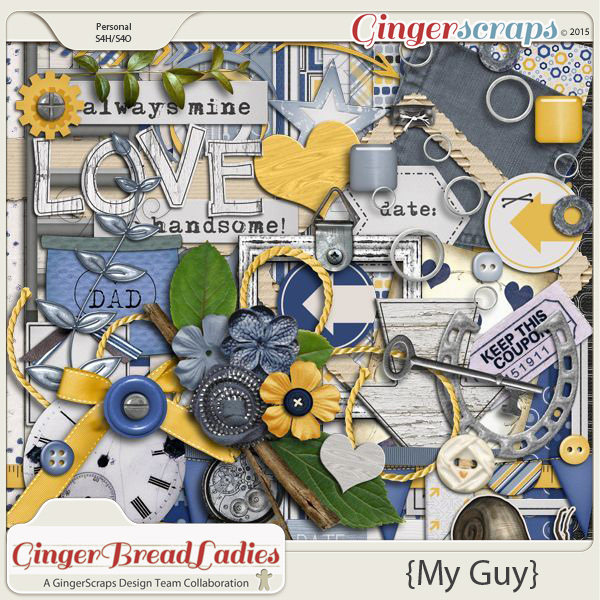 What a prefect day to bring you all things Dad’s here on the blog. Today is Father’s Day here in the states. 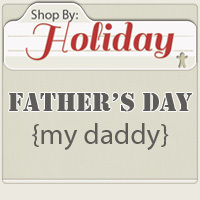 We have a section in our store dedicated to all things Dad. If what I am about to show isn’t what you are looking for, make sure you start your search there. 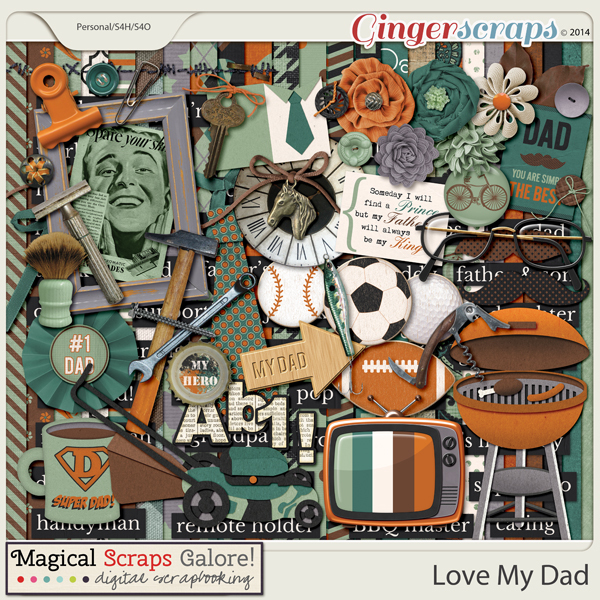 Now, on to some great items that celebrate Dad; brought to you by our talented GingerScrap’s designers. As usual, all items are linked to their counterpart in the store. Let’s get started! Happy Father’s Day to all the Dad’s out there; and the Mom’s who are both Mom & Dad. Spring! Spring sprung a few weeks ago here in the states. It is just now getting to feel like spring now where I live. Even if Spring has sprung or Fall is here and you just want to look back at those Spring photos and get them scrapped, I have some great products for you! I don’t know if you have noticed, but it is like the store and gallery comes alive once Spring comes around. 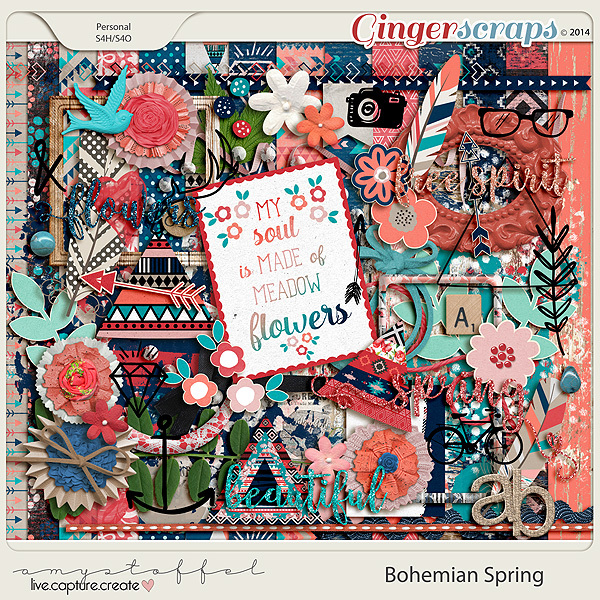 Such beautiful colors, themes and flowers fill the store! Of course there is a section dedicated to all things Spring in the store. You can find that HERE. Today though, I am going to pick a few out of the store that are my favorite and showcase them. All images are linked! Great, right?! This is what I found only 5 pages into the search. 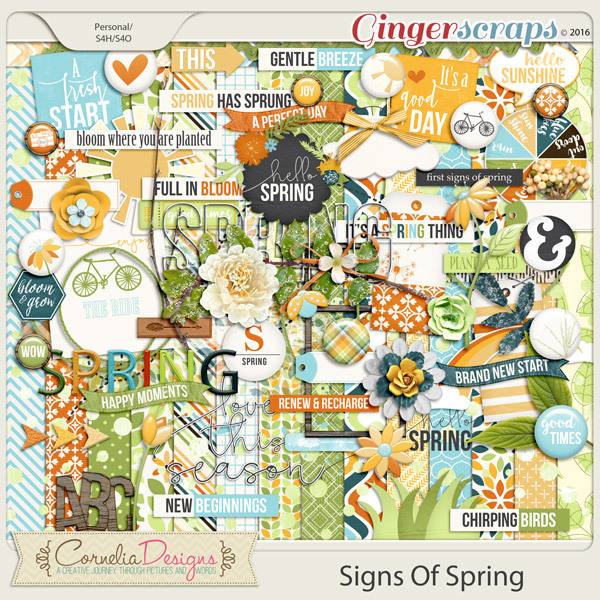 There are FIFTY more pages in the spring section. I told you that the store comes alive when Spring comes around here in the states. I hope some of these will get your creative juices flowing! Makes sure you upload your images to the gallery and links us up here if you use any of them. We would love to see your work! 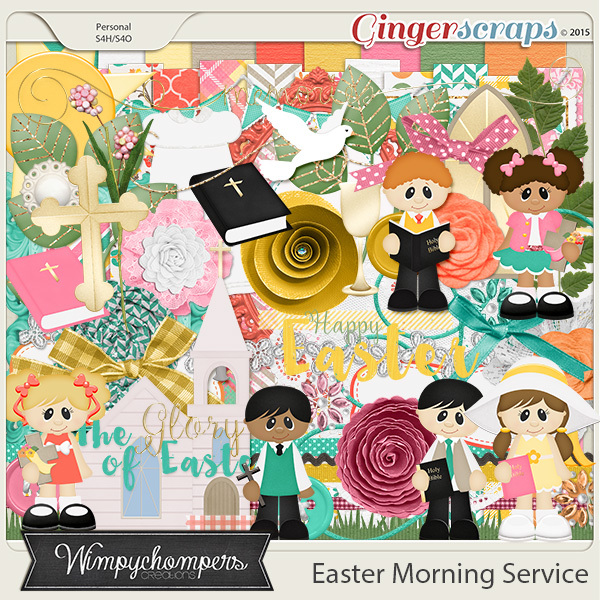 Tomorrow is Easter. Are you ready? 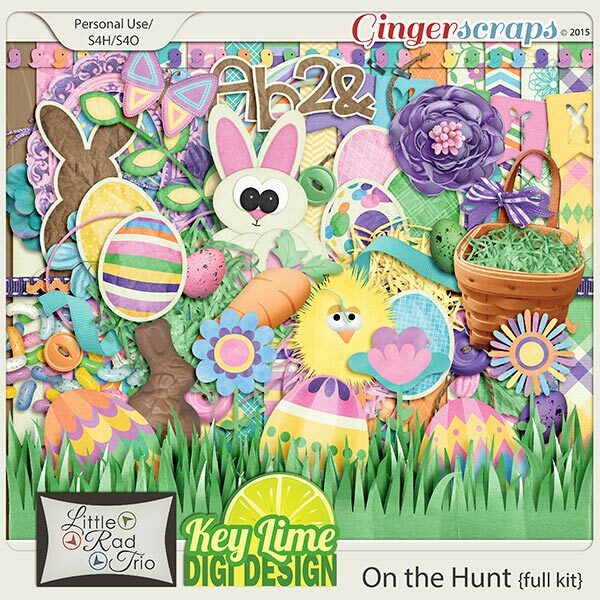 Make sure you take your camera long for those Easter Egg hunts and fun Easter activities. I wouldn’t suggest pulling your camera out and clicking away while you are at church…but each their own. lol. 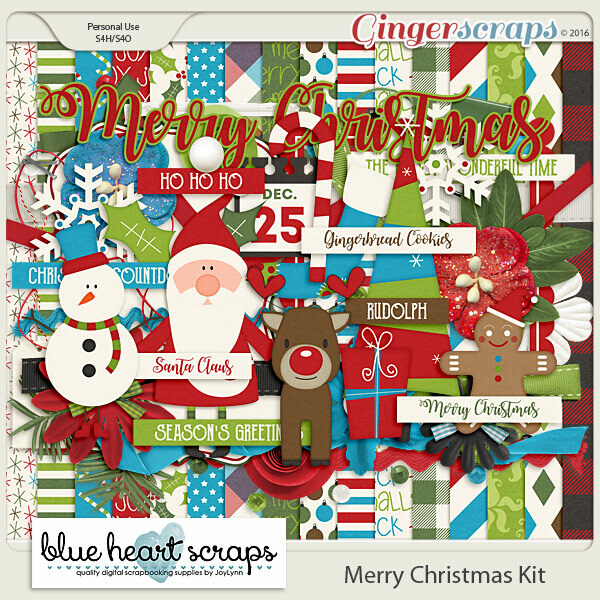 Today though, I am going to show you some of the great products GingerScraps has in store to get those photos you are going to take tomorrow scrapped. As usual, there is a section dedicated to this holiday in the store. You can click HERE to view that. I am taking the hard work out of it for you though. I searched the store and that section and going to showcase some of my favorites. Hopefully you will like some of them too! As usual, all images are linked to their counterpart in the store. 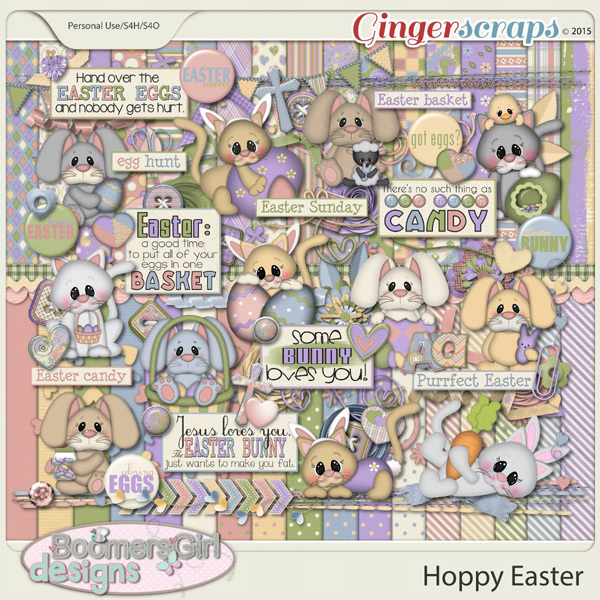 For those of you, like me, who are celebrating Easter, I hope it is a great, fun and peaceful holiday. Happy Easter! 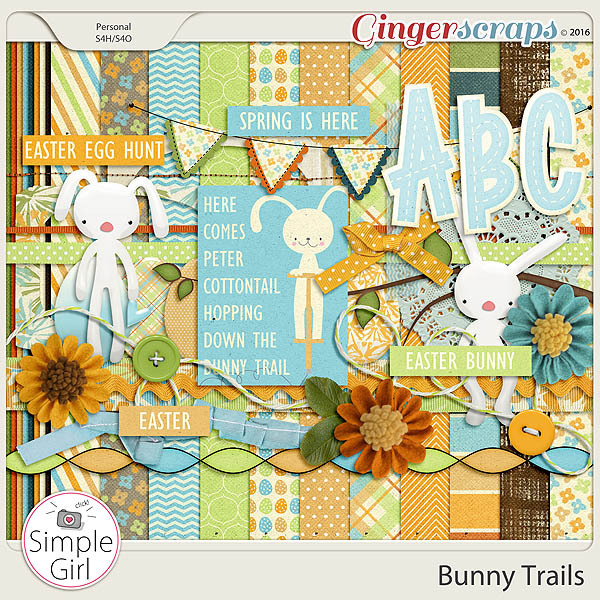 Welcome to March scrappers! I really cannot believe that we are already into the 3rd month of the year. I guess I should just get used to all these years flying by. 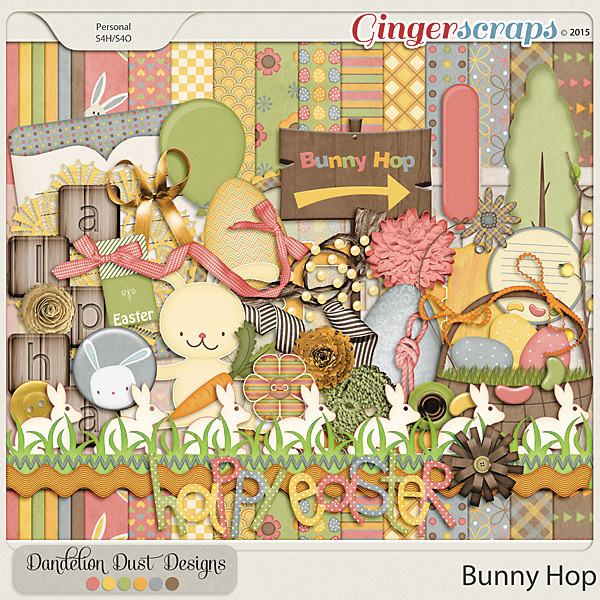 Since we are into March, let’s talk about scrapping for St. Patrick’s Day! I am doing all the hard work for you. (Well, I like shopping around; so it isn’t hard work for me!) 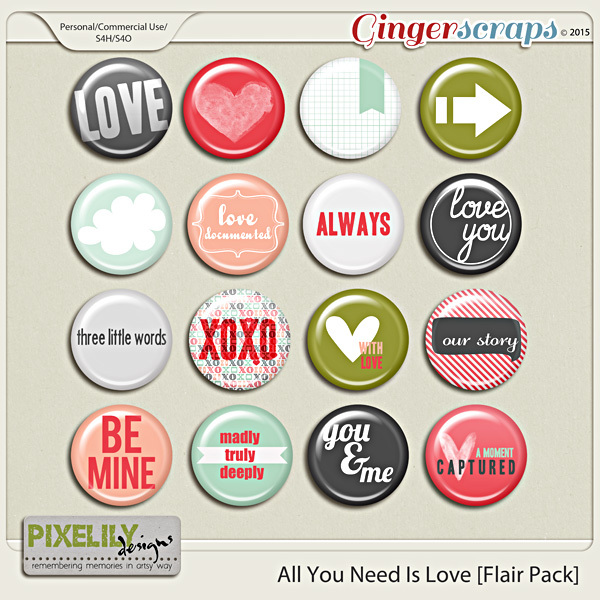 Here are some great items from the GingerScrap’s store to get your St. Patrick’s Day photos & fun scrapped. This is just a glimpse as to what is in the store. If these are not what you are looking for, check out the section dedicated to this holiday. 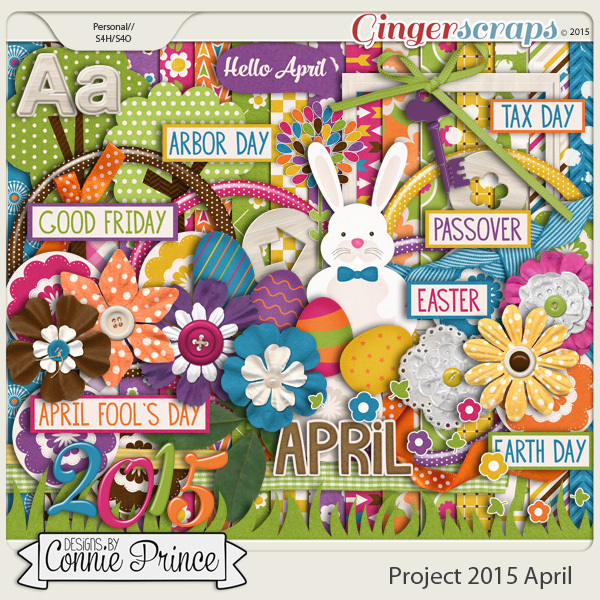 Before I get started with showing you some great St. Patrick’s Day goodies, I thought I would remind you of this month’s Mix. It is perfect for this holiday! 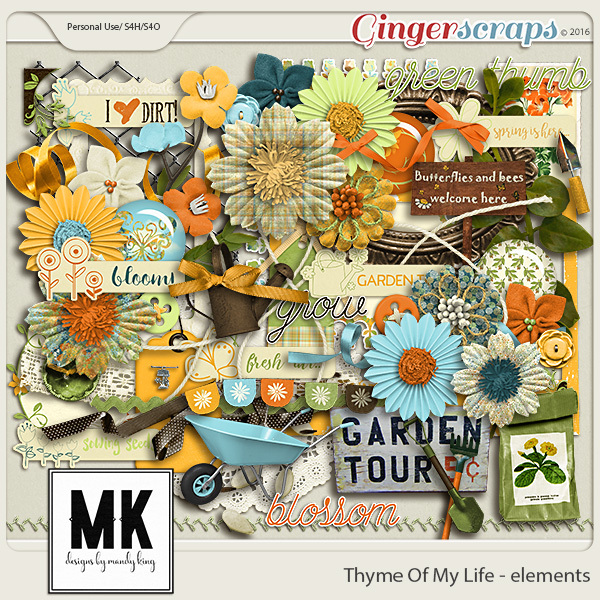 Monthly Mix: A Bit Of Luck: A collaboration from our GingerScraps designers. 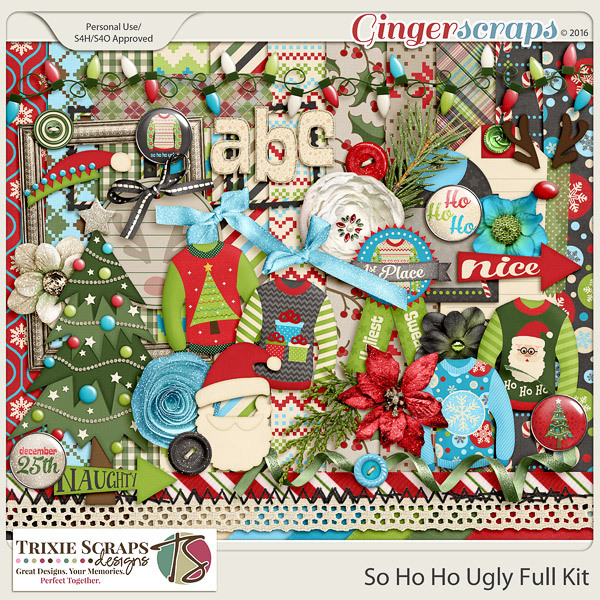 Everyone has a bit of luck with this kit! 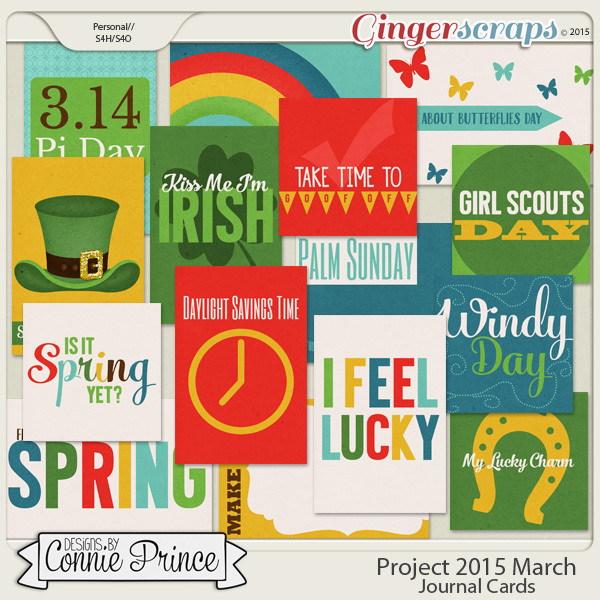 From top hats for the leprechaun in your life, to the colors of Scouts and grass, and the hints of spring. Now, Here is those St. Patrick Day goodies I was talking about. All images are link to their counterpart in the store. Great, right? 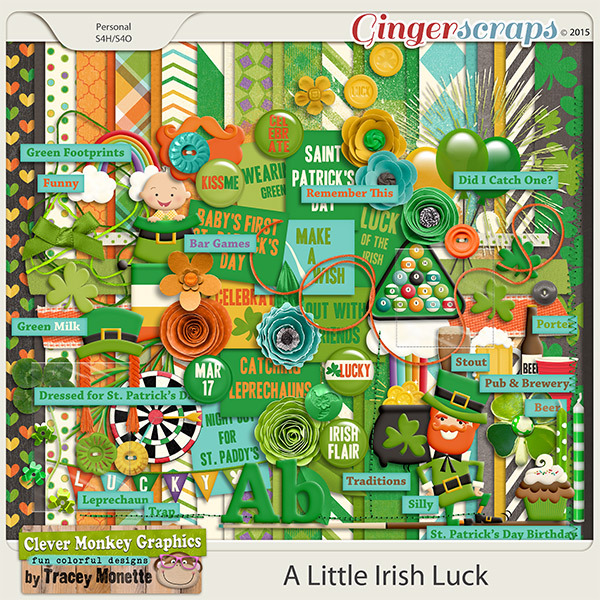 Like I said, these are just a glimpse as to what GingerScraps has in store to scrap your St. Patrick’s Day memories and fun. It is still early as well. There is a little less than 2 weeks until the holiday. Make sure you keep a look out on the Fresh Baked goodies to see what else might show up. It is that time of the year. February brings Valentine’s Day for us in the states. 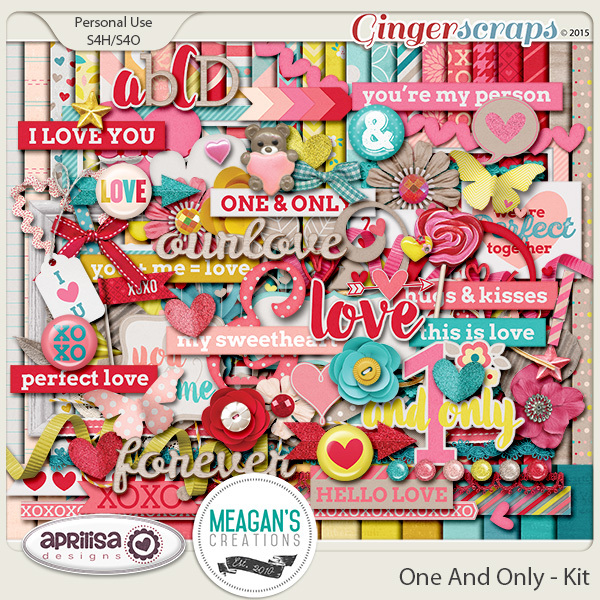 All things love, hearts, pink and red. 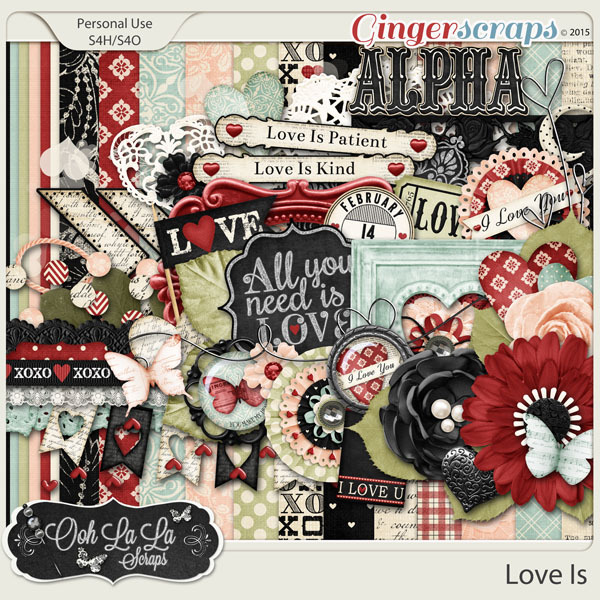 So with that in mind, we are going to take the hard part of your digital scrapbooking shopping and bring you a ton of Valentine’s Day stuff all in one post. All images are linked to the store. Don’t forget, there is a section just for Valentine’s Day in the store. You can these items and more there. There you go guys. 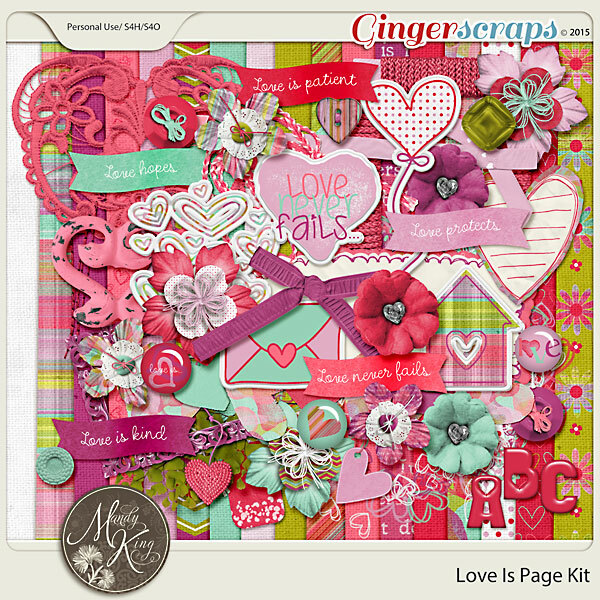 Just a small glimpse into what the store has to offer to get those Valentine’s Day and love layouts scrapped. 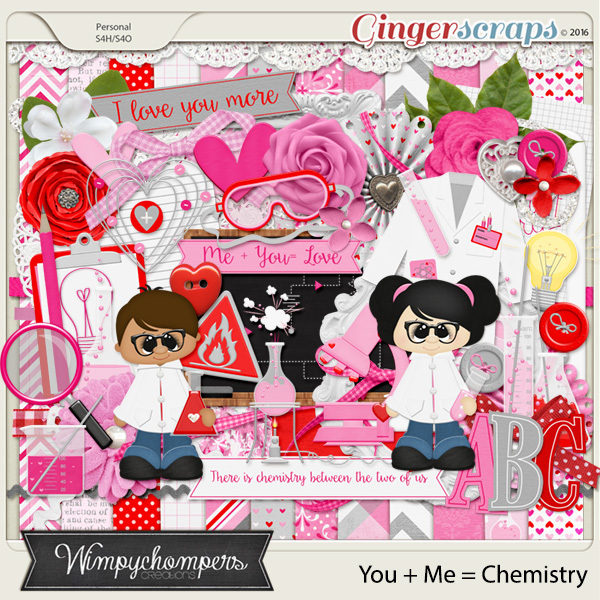 We would love to see what you have scrapped with our Valentine’s Day inspired kits. Make sure you upload in the gallery and come back and link us up here! 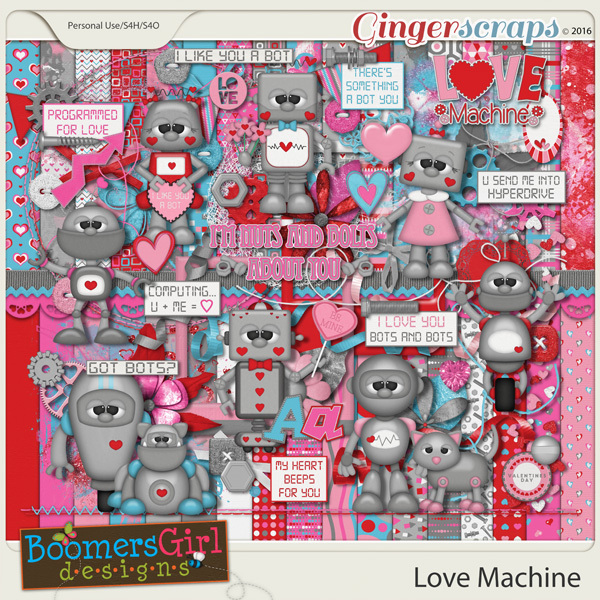 Happy Valentine’s Day and happy scrapping. Good morning scrappers. Today is Labor day here in the states. That is usually our signal that Summer is coming to an end and Fall is around the corner. At the start of the summer, we took a look at the great items that GS store had for all things summer. 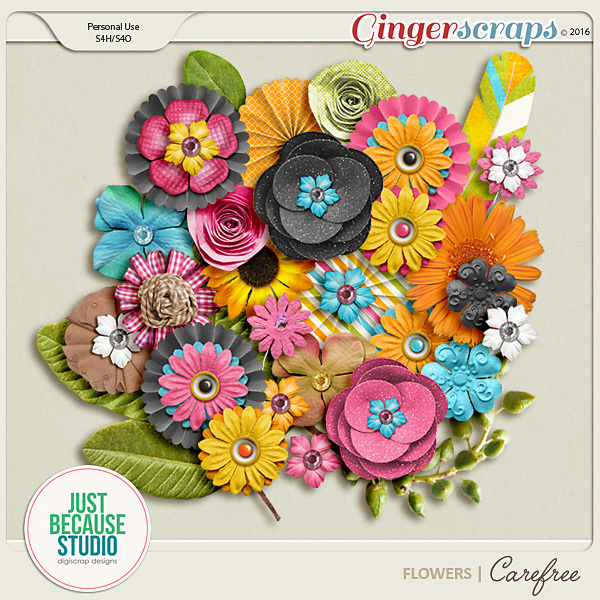 Summer was in full swing here at GingerScraps and there are so much more to scrap with! 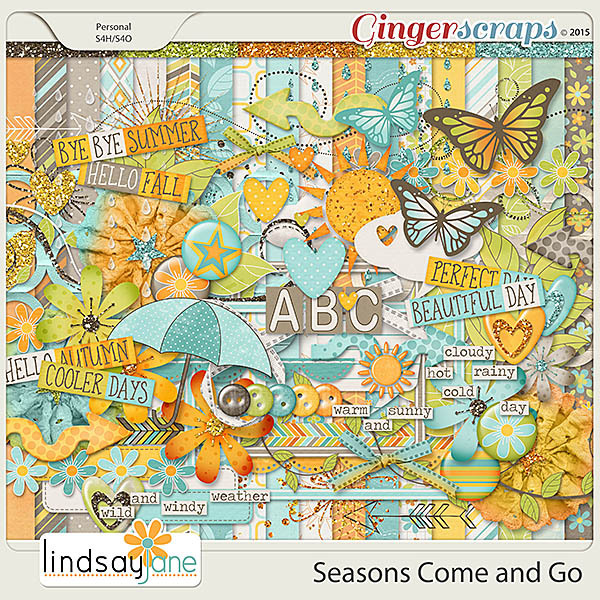 Get all those fun summer photos you have taken and check these out! 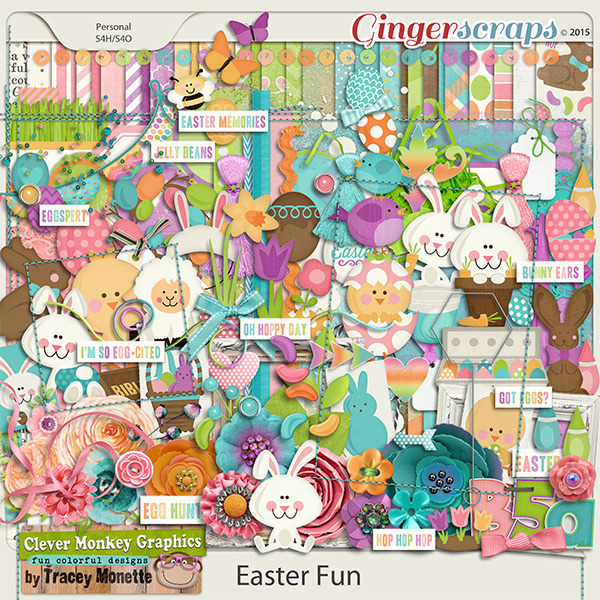 Guys, these are just the tip of the iceberg when it comes to the great items the GingerScrap designs have for scrapping your summer memories. Have all these? Don’t see something that fits those photos perfectly? 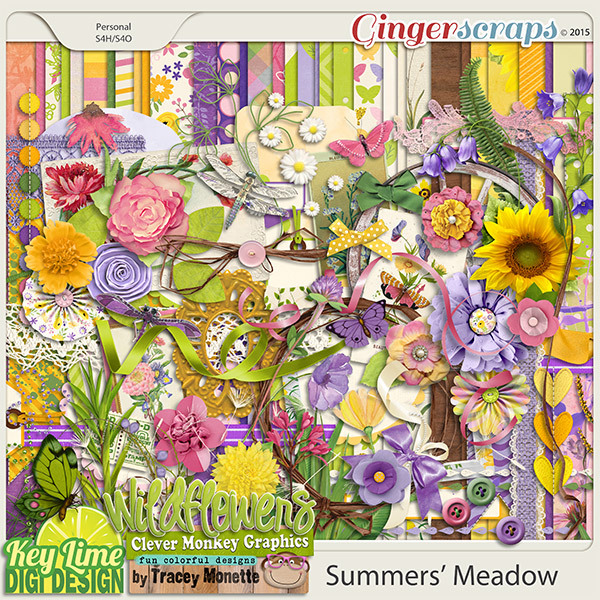 Make sure you check out the section devoted entirely to summer! So, let us celebrate another season coming to an end. 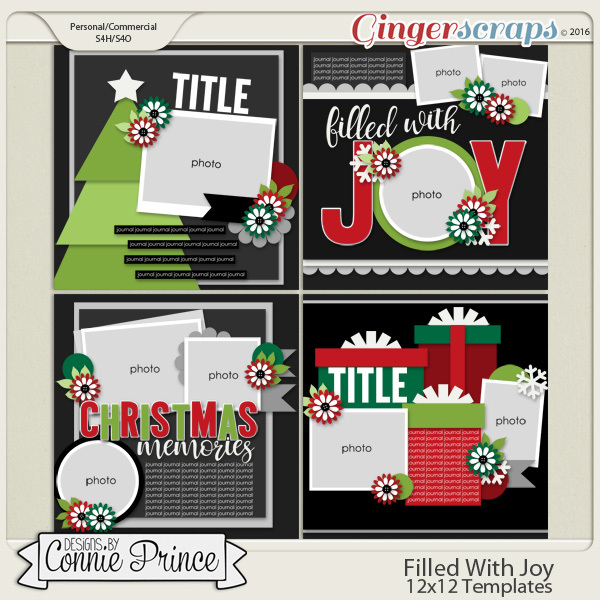 Get those photos and memories scrapped. Make sure to upload them to the gallery & links us back up! Good Monday morning! For those in the states, did you have have a good Independence Day? Canadians, did you have a good Canada Day?! I hope you did and I hope you took lots of photos. I am here today to help take the chore of looking for kits for said photos. 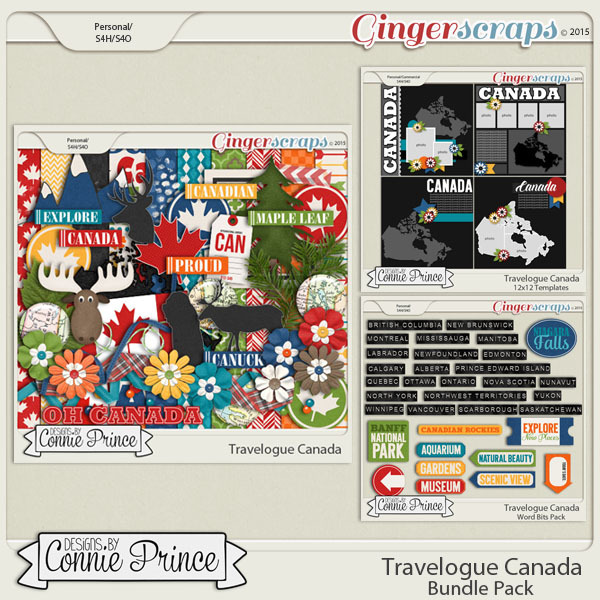 We are going to take a look at some of the great digital scrapbooking supplies in the store to scrap those 4th of July and Canada Day photos! 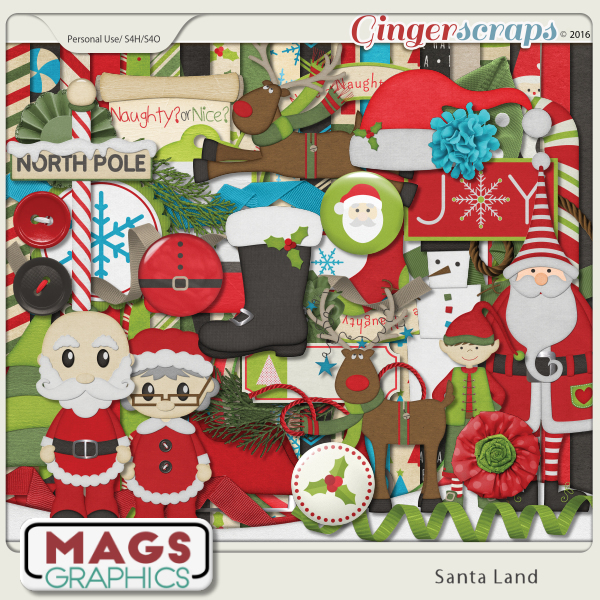 Just like the holiday’s before, we have an entire section dedicated to patriotic digital scrapbooking supplies. If you already have the ones I am about to showcase in your stash or just want something else, make sure to check there. 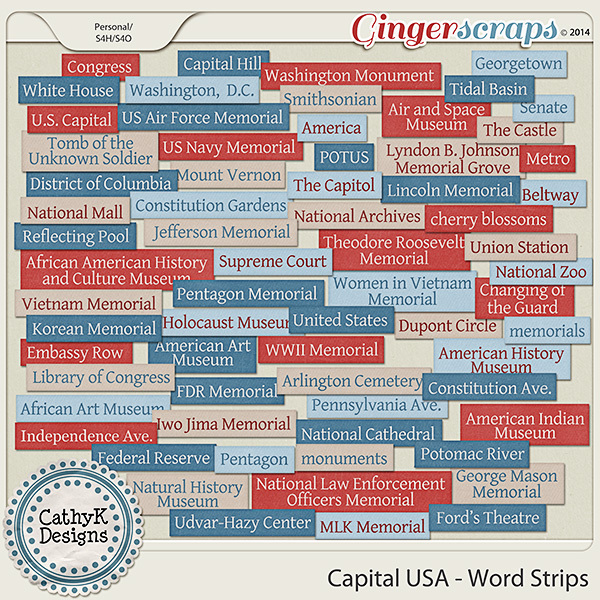 Here are just a few items to get your patriotic layouts scrapped. (all images linked). Some great designs, right? 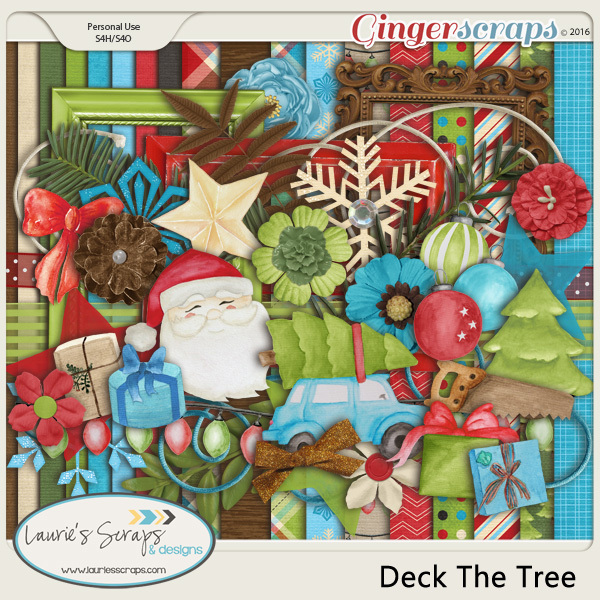 We would love to see what you are scrapping with our patriotic designs. 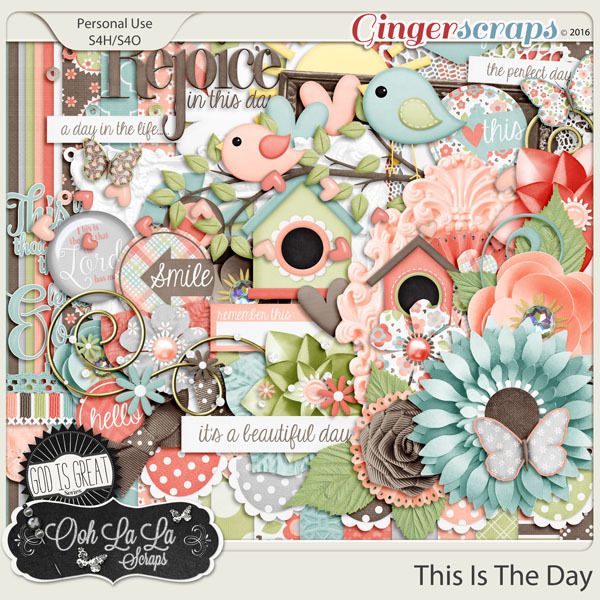 Make sure you upload your layouts to the gallery. There is a challenge that goes perfectly with these patriotic goodies. There are a lot more patriotic items in July’s Buffet. You can take those July Buffet layouts & take part in the Buffett challenge in the forum! 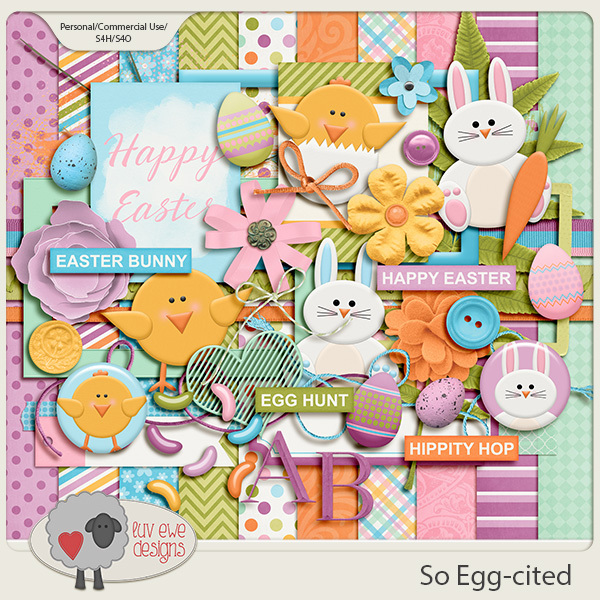 There is also a color challenge this month that would work well with your patriotic layouts! So, get those holiday photos scrapped & links us up! Great kits, right?! Happy Father’s day to all the Dads out there! Take a moment to thank those men in your lives. Remember the Dads who cannot be with their families today. Happy Father’s Day! !